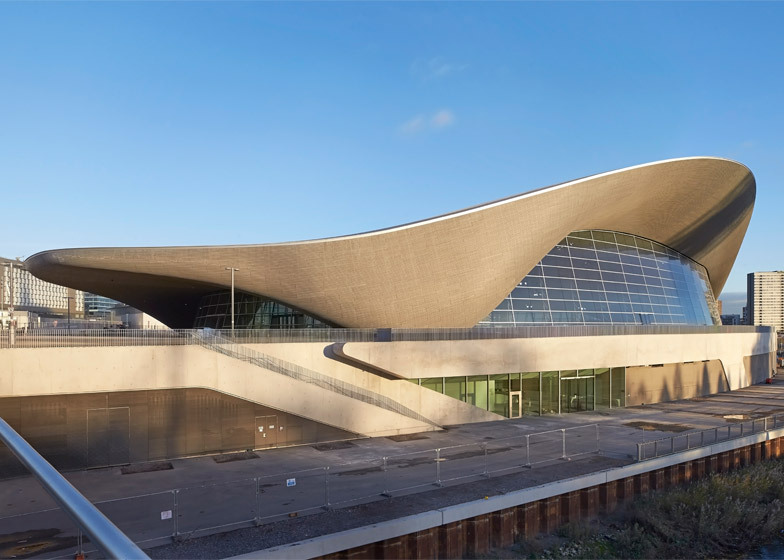 British architect Zaha Hadid is to become the 2016 recipient of the Royal Gold Medal for architecture, marking the first time a woman has won the prize in her own right (+ slideshow). Awarded by the Royal Institute of British Architects, the medal is presented annually in recognition of a significant contribution to the profession. Hadid is the first women without a male partner to win the award in its 167-year history. Hadid said she was proud to be the first woman to receive the honour in her own right. 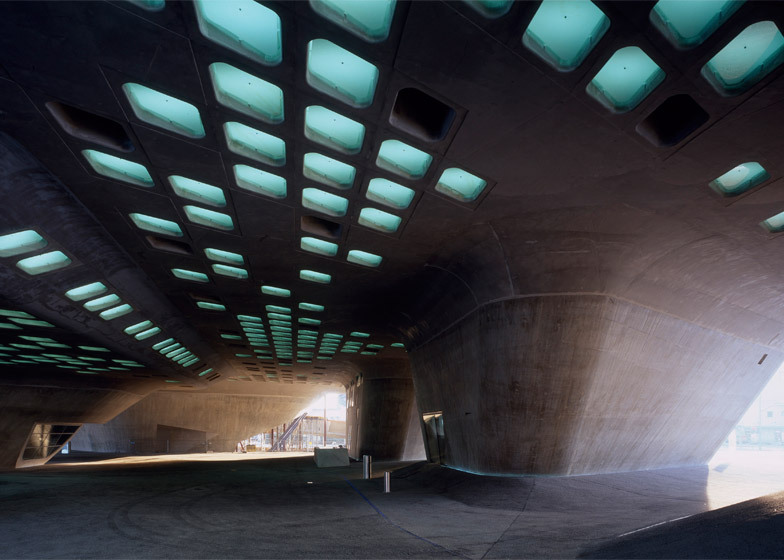 "We now see more established female architects all the time. That doesn't mean it's easy," she said. "Sometimes the challenges are immense," she continued. "There has been tremendous change over recent years and we will continue this progress. This recognition is an honour for me and my practice, but equally, for all our clients. It is always exciting to collaborate with those who have great civic pride and vision." 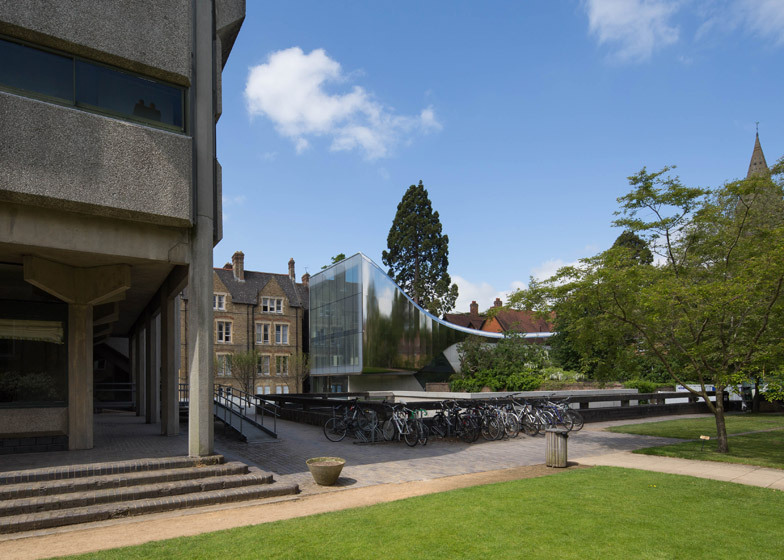 "Part of architecture's job is to make people feel good in the spaces where we live, go to school or where we work – so we must be committed to raising standards. 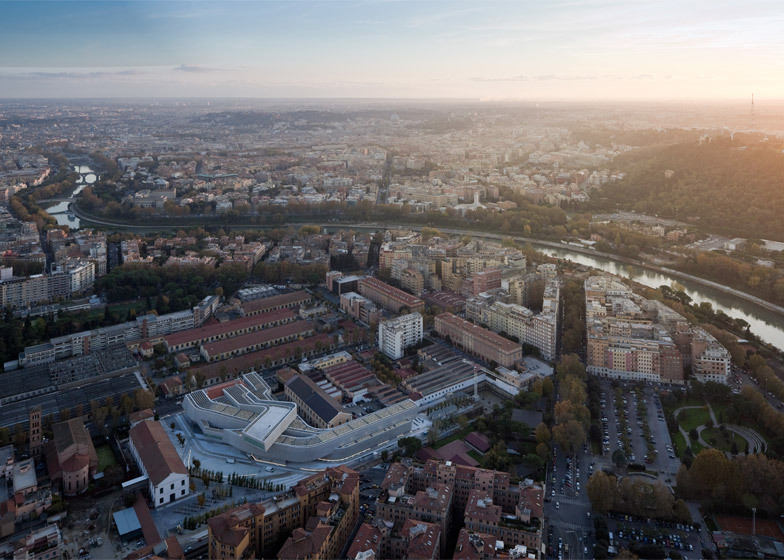 Housing, schools and other vital public buildings have always been based on the concept of minimal existence – that shouldn't be the case today. 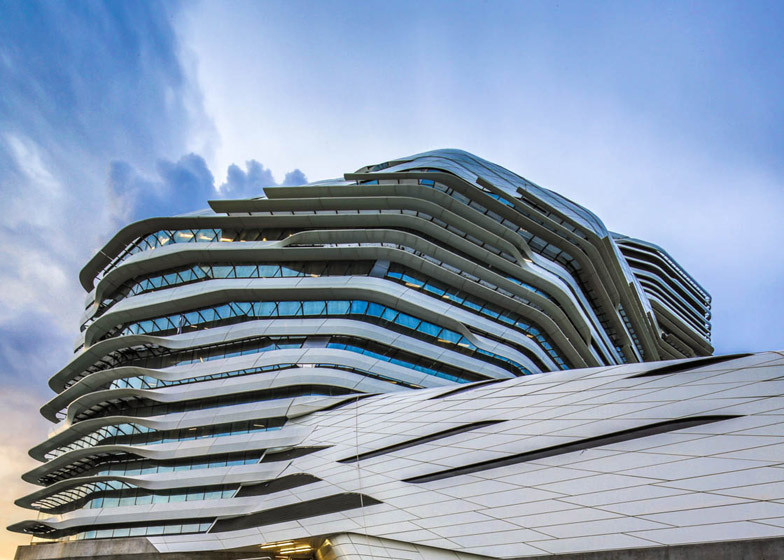 Architects now have the skills and tools to address these critical issues." 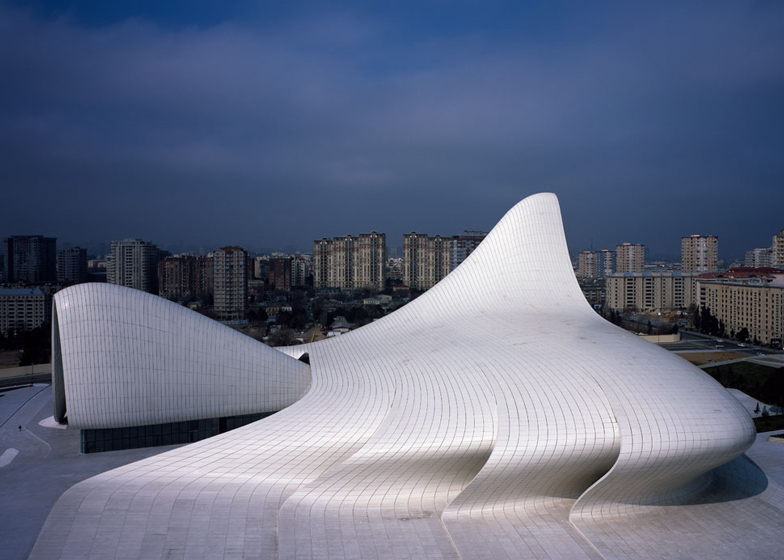 Archigram founder Peter Cook supported the nomination for Hadid, who is best known for projects including the London 2012 Aquatics Centre, the Heydar Aliyev Center in Baku and the MAXXI Museum in Rome. In a citation, he described the architect as "our heroine" and said her work was "special". "Indeed her work, though full of form, style and unstoppable mannerism, possesses a quality that some of us might refer to as an impeccable eye," he commented. "For three decades now, she has ventured where few would dare." 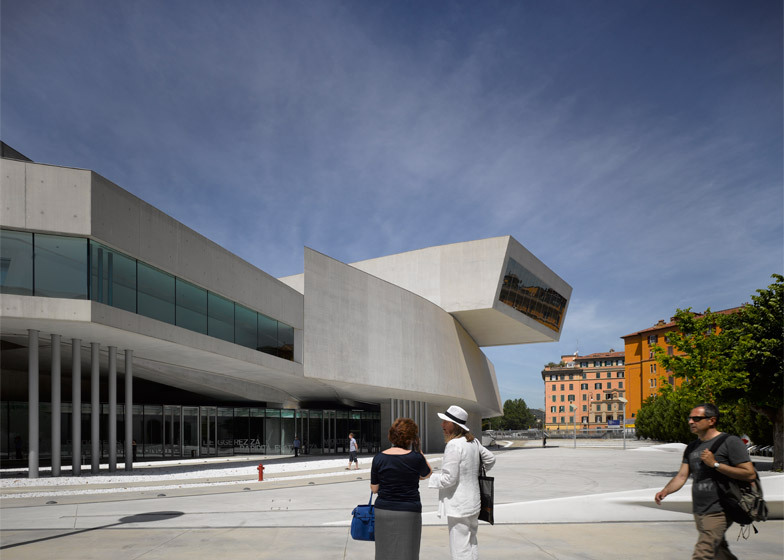 RIBA president Jane Duncan said Hadid was "a formidable and globally-influential force in architecture". "Highly experimental, rigorous and exacting, her work – from buildings to furniture, footwear and cars – is quite rightly revered and desired by brands and people all around the world," she said. "I am delighted Zaha will be awarded the Royal Gold Medal in 2016 and can't wait to see what she and her practice will do next." 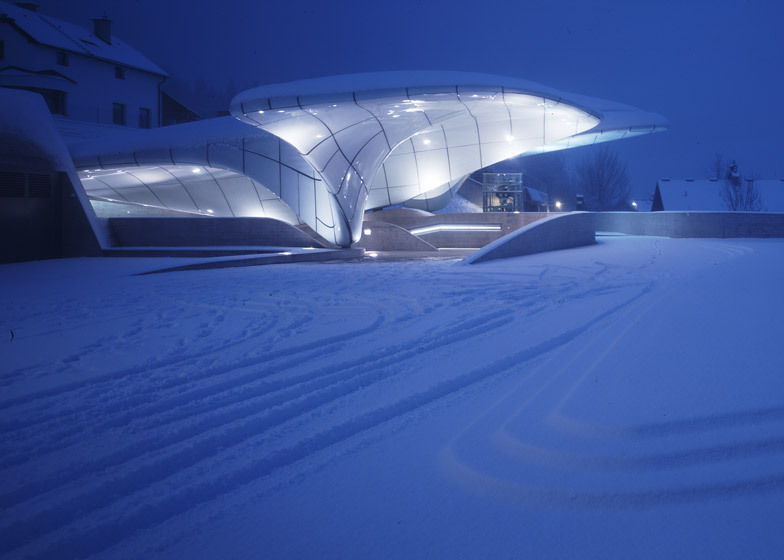 Hadid was born in Baghdad in 1950. After graduating from the Architectural Association in 1977, she joined her former professors, Rem Koolhaas and Elia Zenghelis, at OMA. 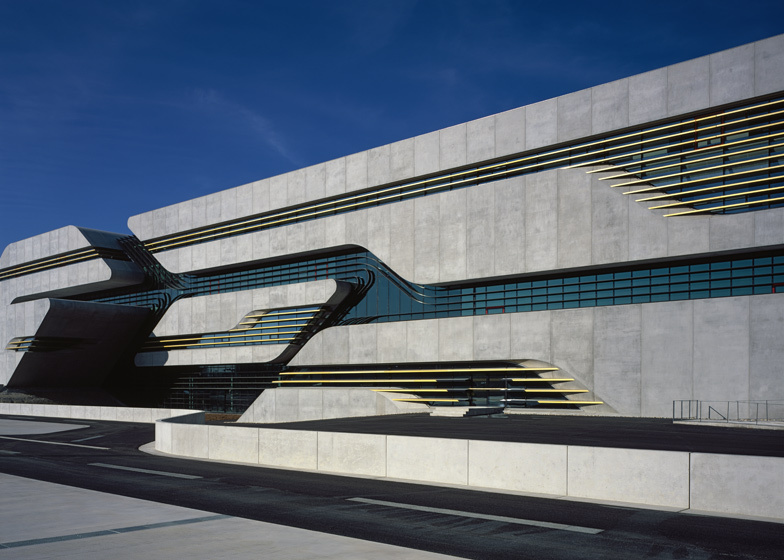 In 1979 she established her own studio – Zaha Hadid Architects – which she runs with office partner Patrik Schumacher. 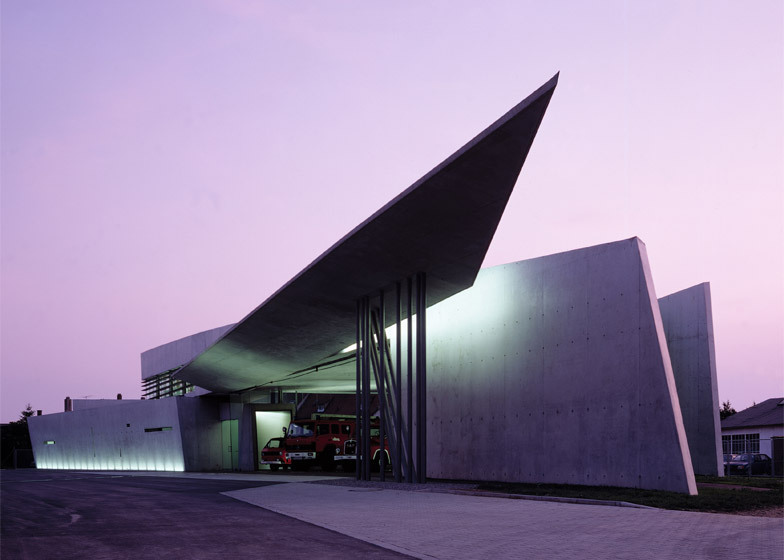 Significant early projects included The Peak in Hong Kong (1983), the Kurfürstendamm in Berlin (1986), and the Cardiff Bay Opera House in Wales (1994) – but she garned most attention for her Vitra Fire Station in Weil Am Rhein, Germany (1993). 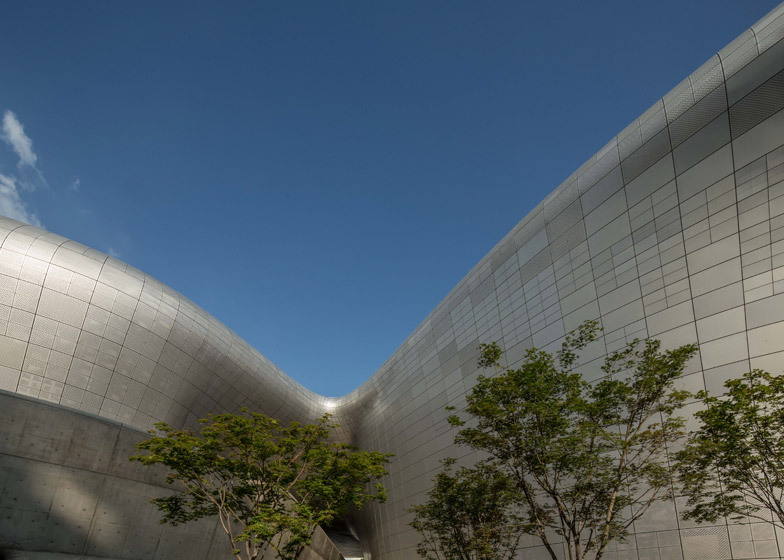 In the last decade, she has completed the Guangzhou Opera House in China (2010), the Dongdaemun Design Plaza in South Korea (2014), and the Messner Mountain Museum Corones in Italy (2015). 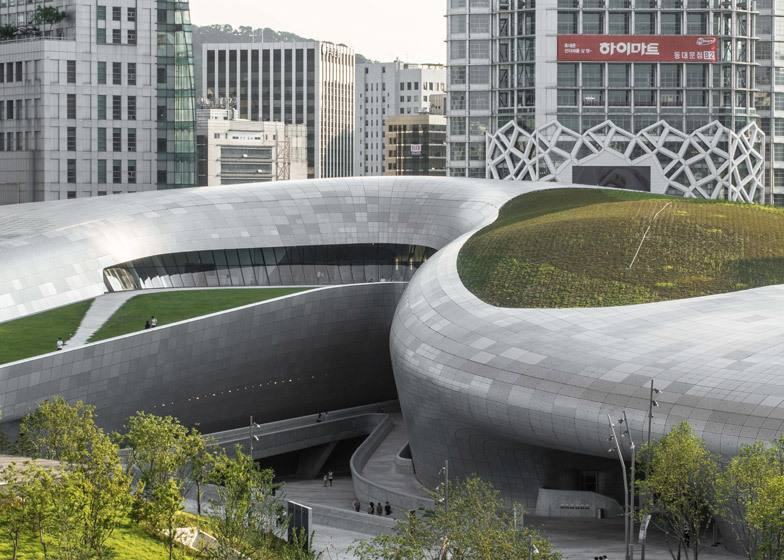 Hadid has already been awarded the Pritzker Prize, the Republic of France's Commandeur de l'Ordre des Arts et des Lettres, Japan's Praemium Imperiale, and is a Dame Commander of the Order of the British Empire. 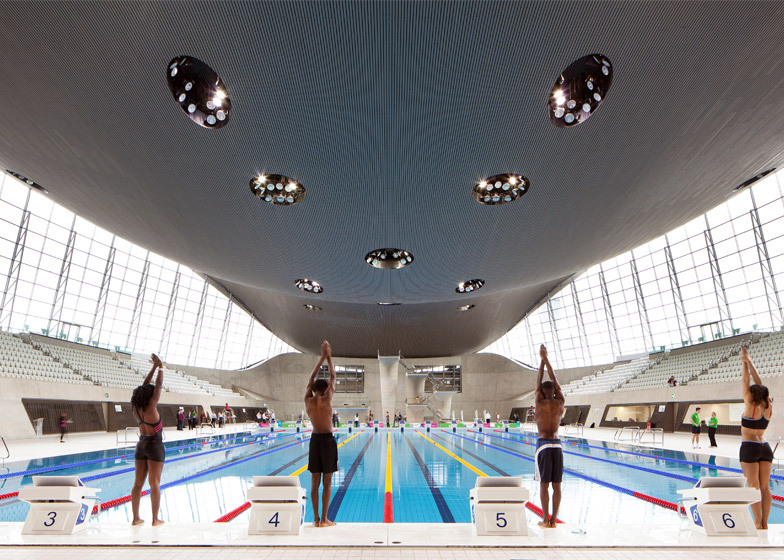 She has also won the Stirling Prize twice. 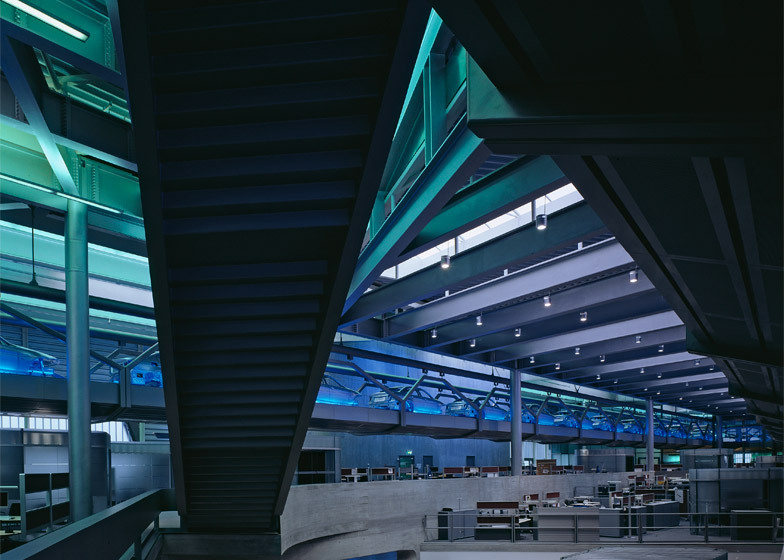 Last year the Royal Gold Medal was awarded to Irish architects Sheila O'Donnell and John Tuomey. 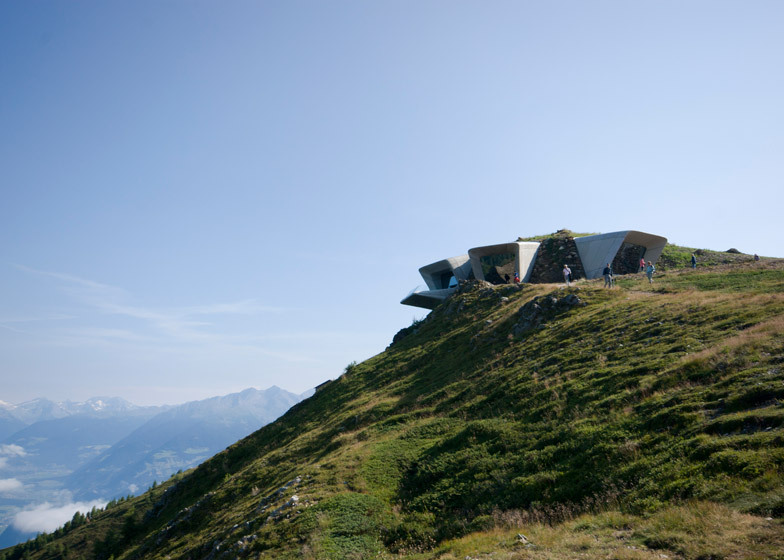 Other recent recipients of the accolade include Peter Zumthor, Herman Hertzberger and David Chipperfield. 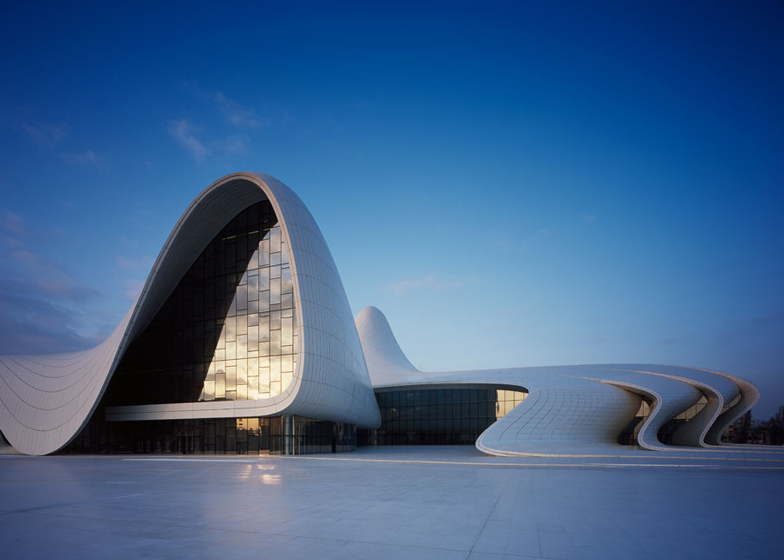 In our current culture of ticking every box, surely Zaha Hadid succeeds, since (to quote the Royal Gold Medal criteria) she is someone "who has made a significant contribution to the theory or practice of architecture... for a substantial body of work rather than for work which is currently fashionable." Indeed her work, though full of form, style and unstoppable mannerism, possesses a quality that some of us might refer to as an impeccable eye: which we would claim is a fundamental in the consideration of special architecture and is rarely satisfied by mere 'fashion'. And surely her work is special. 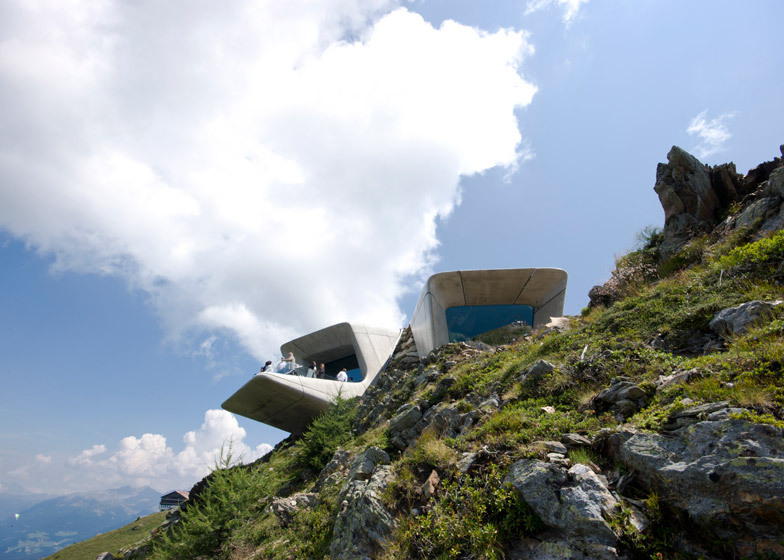 For three decades now, she has ventured where few would dare: if Paul Klee took a line for a walk, then Zaha took the surfaces that were driven by that line out for a virtual dance and then deftly folded them over and then took them out for a journey into space. In her earlier, 'spiky' period there was already a sense of vigour that she shared with her admired Russian Suprematists and Constructivists – attempting with them to capture that elusive dynamic of movement at the end of the machine age. Necessarily having to disperse effort through a studio production, rather than being a lone artist, she cottoned on to the potential of the computer to turn space upon itself. 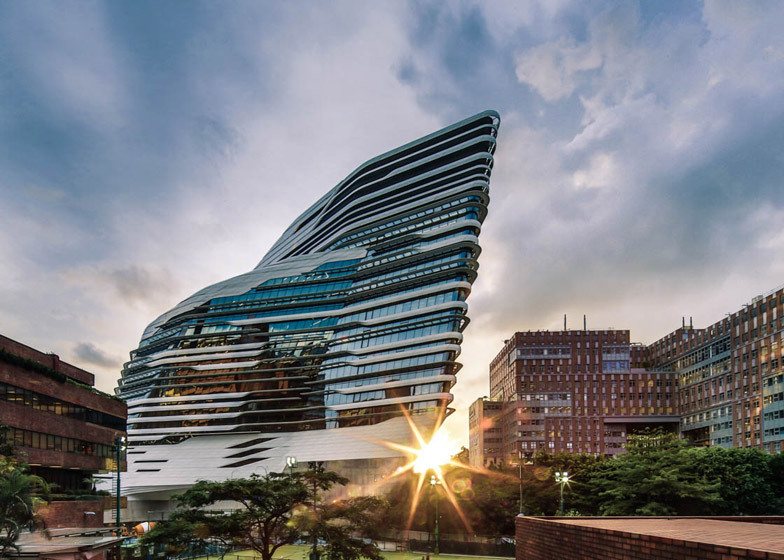 Indeed there is an urban myth that suggests that the very early Apple Mac 'boxes' were still crude enough to plot the mathematically unlikely – and so Zaha with her mathematics background seized upon this and made those flying machine projections of the Hong Kong Peak project and the like. 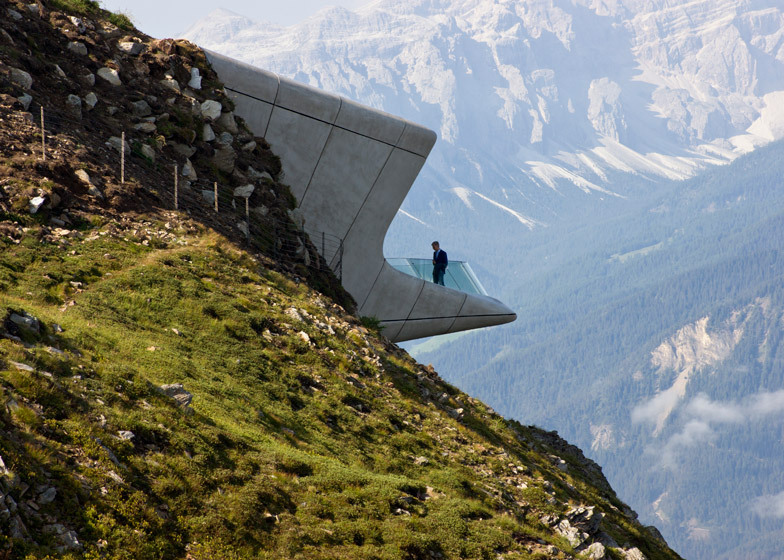 Meanwhile, with paintings and special small drawings Zaha continued to lead from the front. She has also been smart enough to pull in some formidable computational talent without being phased by its ways. 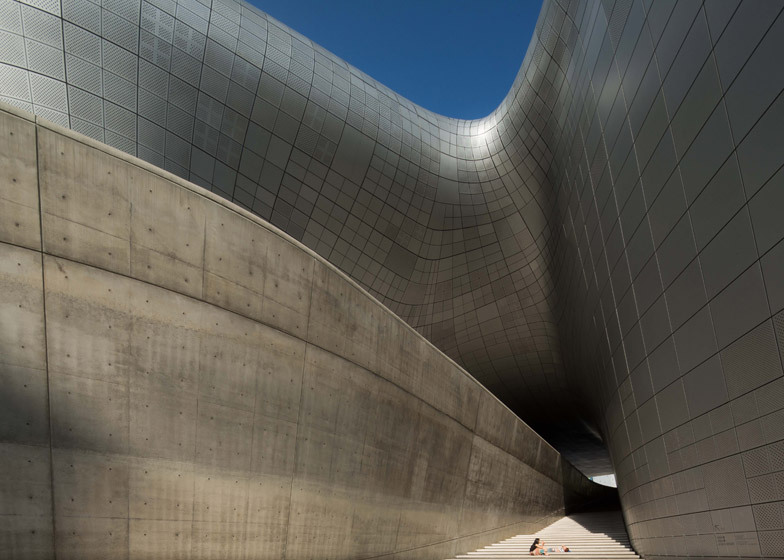 Thus the evolution of the 'flowing' rather than spikey architecture crept up upon us in stages, as did the scale of her commissions, but in most cases, they remained clear in identity and control. When you entered the Fire Station at Vitra, you were conscious of being inside one of those early drawings and yes, it could be done. 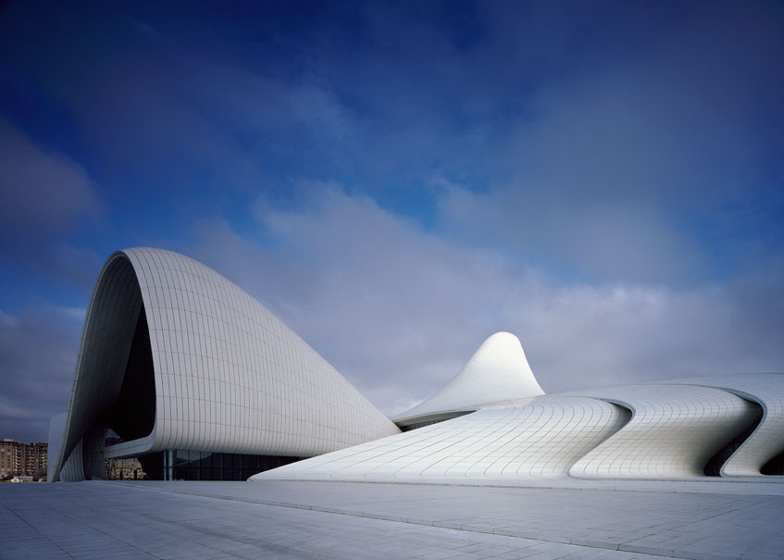 Yet at perhaps its highest, those of us lucky enough to see the Heydar Aliyev Center in Baku in the flesh, can surely never have been in such a dream-like space, with its totality, its enormous internal ramp and dart-like lights seeming to have come from a vocabulary that lies so far beyond the normal architecture that we assess or rationalise. So we are presenting her with this Medal as a British Institution: and as a Dame Commander of the Order of the British Empire: thus she might seem to be a member of our British Establishment. 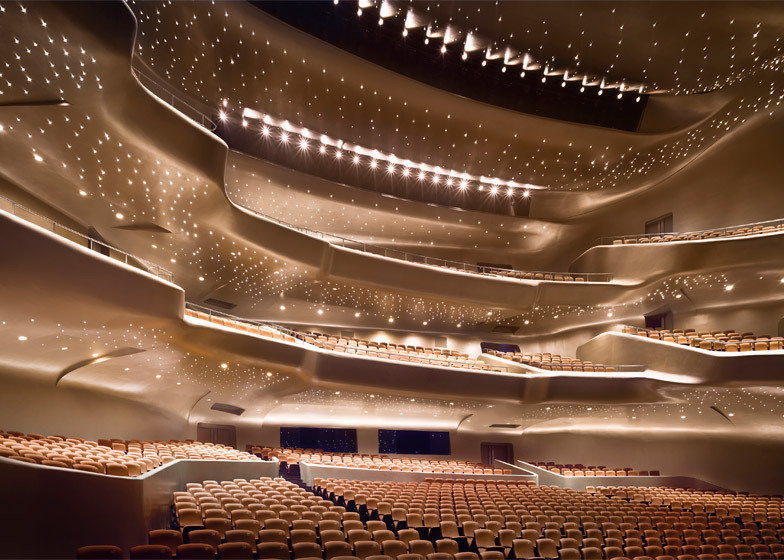 Yet in reality, many of our chattering classes and not a few fellow architects have treated her with characteristic faint praise, and when she heroically won the Cardiff Opera House competition, blocking the scheme. 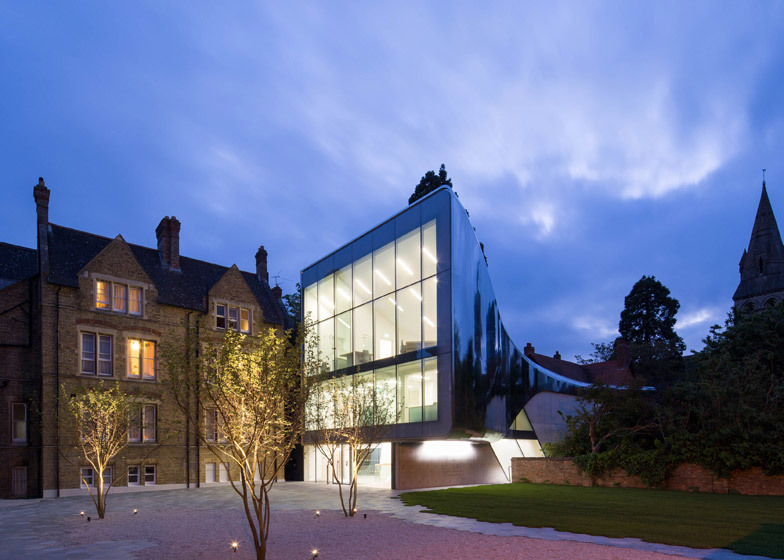 Or when we awarded her the RIBA Stirling Prize for the school in south London – her second win in a row – we, the jury, were loudly derided by a number of distinguished architects. Of course, in our culture of circumspection and modesty her work is certainly not modest, and she herself is the opposite of modest. Indeed her vociferous criticism of poor work or stupidity recalls the line-side comments of the tennis-player John McEnroe. Yet this is surely characteristic of the seriousness with which she takes the whole business: sloppiness and waywardness pain her and she cannot play the comfy British game of platitudinous waffle that is the preferred cushion adopted by many people of achievement or power. Her methods and perhaps much of her psychology remain Mesopotamian and not a little scary: but certainly clear. As a result, it is perhaps a little lonely there up at the top, surrounded now by some very considerable talent in the office, but feared somewhat and distanced from the young. 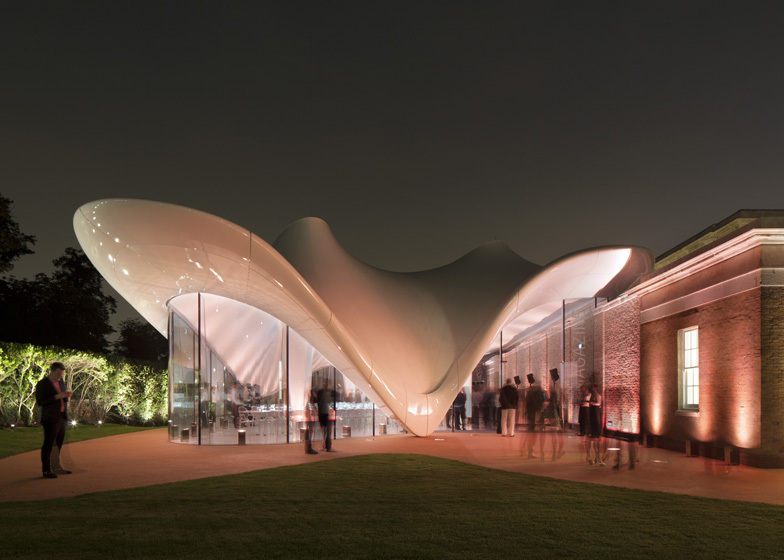 Yet in private Zaha is gossipy and amusing, genuinely interested in the work of talented colleagues who do very different architecture such as Steven Holl, and she was the first to bring to London talent such as Lebbeus Woods or Stanley Saiotowitz. She is exceptionally loyal to her old friends: many of whom came from the Alvin Boyarsky period of the Architectural Association: which seems to remain as her comfort zone and golden period of friendship. Encouraged and promoted at an early age by Boyarsky, she has rewarded the AA with an unremitting loyalty and fondness for it. 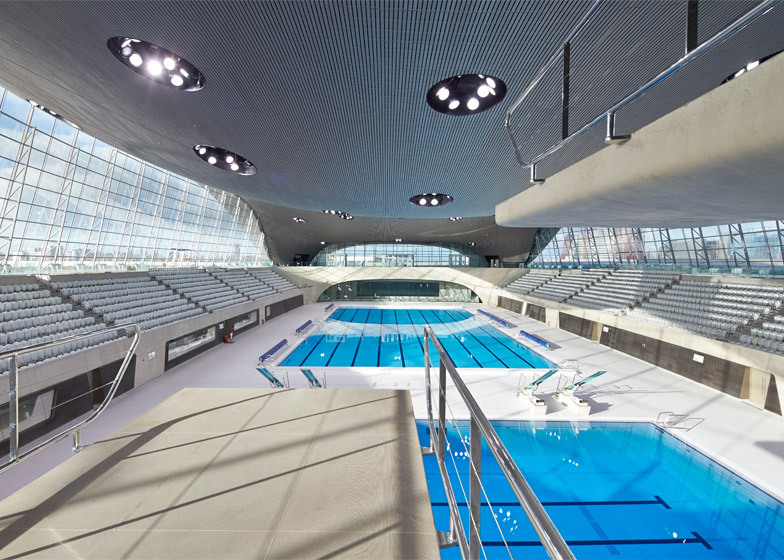 The history of the Gold Medal must surely include many major figures who commanded a big ship and one ponders upon the operation involved that gets such strong concepts as the MAXXI in Rome – in which the power of organization is so clear – or the Bergisel Ski Jump in Innsbruck where dynamic is at last captured – or the Aquatics Centre for the London Olympics where the lines diving boards were as fluid as the motion of the divers – made into reality. And she has done it time and time again in Vienna, Marseilles, Beijing and Guangzhou. Never has she been so prolific, so consistent. 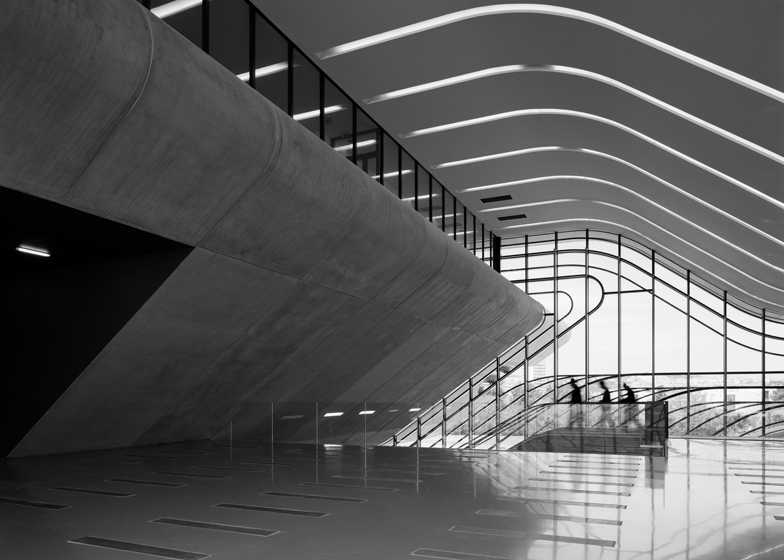 We realise that Kenzo Tange and Frank Lloyd Wright could not have drawn every line or checked every joint, yet Zaha shares with them the precious role of towering, distinctive and relentless influence upon all around her that sets the results apart from the norm. Such self confidence is easily accepted in filmmakers and football managers, but causes some architects to feel uncomfortable, maybe they're secretly jealous of her unquestionable talent. Let's face it, we might have awarded the medal to a worthy, comfortable character. 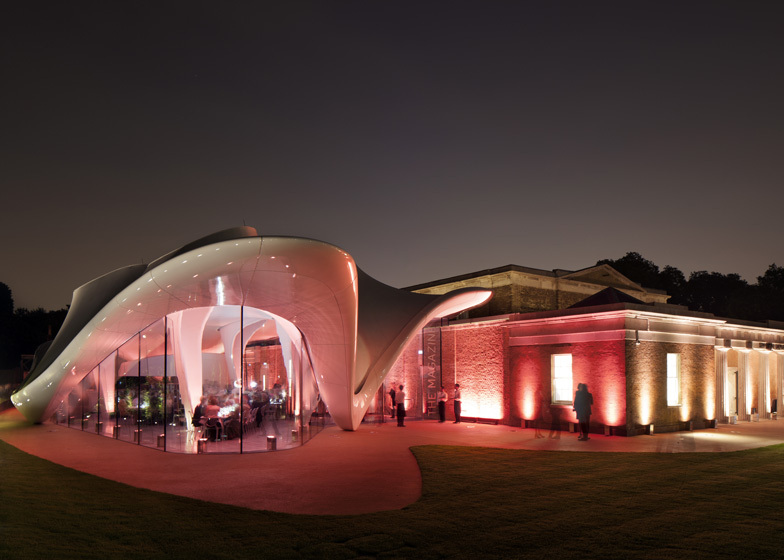 We didn't, we awarded it to Zaha: larger than life, bold as brass and certainly on the case. Our heroine. How lucky we are to have her in London.